Pine Bluff Unit is located in Jefferson County Arkansas. The facility has a capacity of around 430 inmates and houses medium to minimum security offenders. Offenders at this institution can be on work release which allows the inmate to work in the surrounding community in a normal job and then report back to the institution at the end of the work day. To qualify for work release an inmate must meet certain criteria. 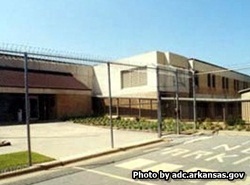 Inmates incarcerated at Pine Bluff Unit can also work various jobs within the institution. Some of the jobs include maintaining the facility grounds, working in the warehouse, clothing/garment production, and working with horses. The facility also offers programs for mental health, education, and substance abuse. Visiting is on Saturdays and Sundays from 12pm-4pm. You should arrive up to 30 minutes early to ensure you get the maximum amount of visiting time, as many people will show up early and be at visitation. The inmates alternate weekends so you will still need to contact them to see which days they are allowed.